Godwin Brumowski was born in Wadowice, Galicia, on 26th July, 1889. On the outbreak of the First World War, Brumowski was serving as an officer in an artillery regiment. After distinguishing himself on the Eastern Front with the Austro-Hungarian Army he transferred to the Austro-Hungarian Air Service. 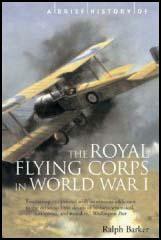 He served as an observer before becoming a pilot in July 1916. He achieved five victories in his first two months and in March 1917, he assumed command of an Austro-Hungarian fighter squadron. Like his hero, Manfred von Richthofen, Brumowski painted his aircraft red and added his insignia, a white skull on a black background. 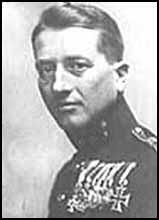 In 1918 Brumowski was given command of all the Austro-Hungarian fighter squadrons during the Isonzo Offensive. Flying a Albatros D-III he became his country's leading flying ace with 35 victories. After the Armistice Brumowski worked as a farmer. Godwin Brumowski later moved to Vienna where he ran a flying school until being fatally injured in a plane crash in 1936.